Here is a new installment of my cheap travel series, the last one was about the UK, and today I will talk about my homeland, La France! I am always shocked when I go back to see the high price of everything, a cheap travel to France is not really easy, and if you have a really small budget, you should look for other destinations, or limit your time in Paris and spend more in the countryside. 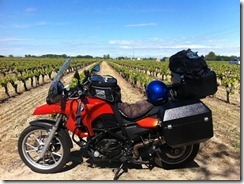 Traveling slowly will also save you money as you can rent a place for a week and cook there. Paris is really unique, but you can find the Southern feel in Italy or Spain for at least 30% off, the Celtic Western culture in the UK or Ireland and the Eastern traditions in Germany at a cheaper price. 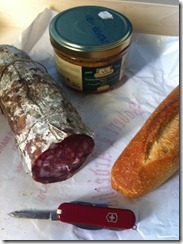 With that said, here is how to make the most of your hard earned cash when traveling in France. January and February are grey and rainy, unless you go for a ski trip or the winter sales. March is spring in the South, April is spring in the North, you can expect sunny days but still a bit of cold. My favorite period is May-June because people are less grumpy, the days are long, you can have a picnic in a park at 8pm with lots of light, and there are like 5 long weekends so everyone relaxes. It is time for Rolland Garros, the Cannes Festival, the Fete de la Musique (Music day on June 21st) where everyone plays music in the streets on the longest day of the year, and other fun activities. July is hot, schools are closed, the French are all packed like sardines on the beach, but there are lots of cool festivals of music, theater, art… in smaller towns like Avignon, Marciac… You can attend great concerts and July 14th is our National Day so expect fireworks. In Paris, the best ones are next to the Tour Eiffel. August can be hot in Paris but the city is deserted by the Parisians. No queues, no traffic. September is beautiful with autumn colors and a back to school feel, you can get low season prices on the coast. October and November are a bit cold and sad, but great for art and fashion enthusiasts. There is a sleepless art night at the beginning of October that is quite cool with museums open until 6am. December is a lovely month with all the Christmas lights. The bulk of your budget, as usual in European countries, will be spent on accommodation. If you are on a last minute weekend, expect to pay $120 and up for a basic room in Paris. With a little preparation, you can cut that down. The cheapest hotel chains is F1, which is comparable to a motel6 except the bathroom is shared, and Ibis that would be a kind of Super 8, slightly above with private bath. You can book rooms in a F1 from 29 euros per night. I think they have occasional 19 euros sales. Book as soon in advance as you can. There are a few just outside Paris with access to public transportation, but most of the F1 are at a highway junction and you will need a car to get there. Ibis has more central location. A good deal for families is Novotel that allows two kids under 12 to sleep for free in their parents’ room and enjoy a complimentary breakfast. You can use booking.com to find smaller hotels and pensions, but won’t find the chain hotels there. Your best bet for chain hotels (except F1 that has its own web) is Expedia, and they have a price match guarantee. The next thing you should try is Airbnb, as I said before I am a big fan of renting people’s house and you can find really great deals. It won’t be as cheap as a F1 but if you can’t book months in advance that is the way to go. Expect a private room in someone’s flat to be 30-60 euros a night and a private studio or 1 bed 60-100 euros or more. You can cook your own meals there and save on food too. Please use my tell a friend link to register . Most campings charge around 20 euros for two people and a tent, which is not that cheap if you can get a 29 euros hotel room. If you aren’t too interested in extra amenities like a pool, check ‘’camping municipal’’, the council campground that is usually cheaper. You can also pitch your tent for free almost anywhere, but 500 meters from a national monument and on the beach. Some towns have some campgrounds for the ‘’gens du voyage’’, the gypsies and other traveling groups. Those sites are generally empty and you can camp there too. In National Parks, overnight camping is tolerated from sunset to sunrise but you can’t make a fire or stay several days unless you carry a permit. Until recently, the bus lines were only for international travel, not to compete with the train’s monopoly, but Eurolines has started a few long distance buses that are quite cheap and allow you to check out cities in between. Eurolines also has a bus pass that covers several countries, check their site for more information. The train timetable and fares are available here. You should book your train tickets 90 days in advance to get the best possible price, for 19 euros you can cross the whole country, instead of the regular 90+ price. BUT you have to book three months in advance. You get a code to print your ticket at the station with the credit card you used for the reservation. Sites like Troc des trains allow you to exchange or resell your tickets, and buy cheap last minute tickets people don’t need. FB also has a Eurostar resell ticket group, but you need to buy a ticket without a name. For insurance reason since you go under the sea and travel internationally you can’t travel if another name is on the ticket. You could be refused boarding, although they rarely check. If you are flying, check out secondary airports in smaller towns. Ryanair, Easyjet, Germanwings, Wizzair, Air Europa, Vueling… Are a few of the low costs flying to France. For long distance flying is often the cheaper option, but you have to book 6 to 9 months in advance and make sure to check the airport transfer fees, they are sometimes higher than the flight. The bus and metro system in Paris is pretty easy to understand, and $20 will get you unlimited travel for a week. Unless you plan on visiting tons of museum, don’t go for the tourist transport card that includes museum discounts, and just get a normal weekly metro pass. The absolute cheapest way to get around is by bicycle. The Velib system allows you to get a bicycle for 1 euro a day, 30 minutes at a time. There are hundreds of bicycle stations, you pick up one, use it for 30 minutes, return it at another station. I know there has been problem with people trying to get a bike with a foreign credit card, since they ask for a $200 deposit, but it depends on your card. Most other cities have a similar bus pass and shared bicycle system Paris do. And if you are in shape, you can walk about anywhere, the big cities are made for pedestrians. I sound like a broken record, but Google the places you want to go and find out if they have a free day. In most public monuments, that is the first Sunday of the month. The Louvre, the castle of Versailles, are a few examples you can visit for free. The Louvre is free for under 25 on Friday nights too. The second weekend of September is national monuments day, and monuments are free, plus some that usually aren’t open to the public allow visitors to have a peek. If you are a UE student you should get a discount so don’t forget your student ID, or passport if you are under 18. The Eiffel Tower is about $20 and if you would like to see Paris from above you can try the Arc de Triomphe instead, for $10 you will see the Eiffel Tower and all Paris from the Champs Elysées. The hill of Montmartre and the Parc de Belleville are free to visit and offer cool panoramic views over the city. You can also climb the bell tower of Notre Dame under $10. The Eiffel Tower sprinkles every hour for the first ten minutes of the hour, from sunset to midnight. Bring a bottle of wine, a baguette and some cheese, and watch it from the gardens of Trocadéro. The national parks are free, and some offer free altitude accommodation for hikers. 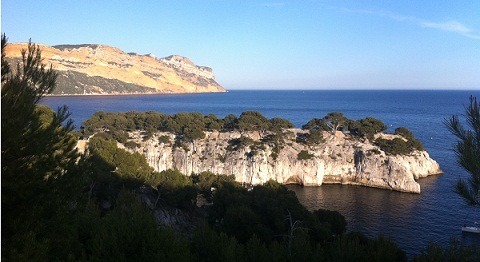 One of my favorite is the Calanques, next to Marseille, a chain of high cliffs overlooking the Mediterranean sea. 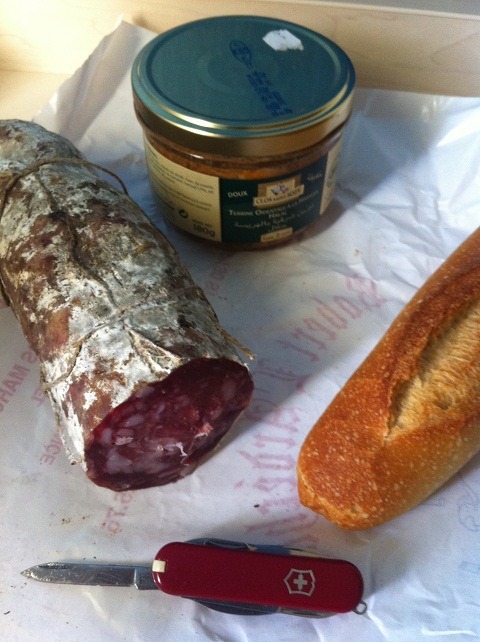 The best way to eat cheap in France is to buy a baguette, and anything you fancy filling it with. Paté, dry sausage, cheese, cold cuts… with a tomato and a fruit you are all set. In the morning you can buy croissants fresh from the oven at the bakery and eat on the go. Breakfasts are really overpriced, usually around 8 euros for bread, jam and coffee. The best deal is the lunch one if you want to eat in restaurant. Opt for the day menu, that should cost 8-15 euros, and include two or three dishes, coffee and a glass of wine. When on the road, look for the restaurants where the truckers stop for a huge hearty meal at a low price. In town you can go for pizza, Chinese or Indian if you are tired of the French food, you should find menus under 10 euros. Bordeaux Wine, anyone? Bordeaux was a pretty ugly city that underwent dramatic change over the past 10 years and is now featuring a vibrant food scene (oysters, duck dishes, more wine) and a renovated old town, a UNESCO Heritage Site. Aix en Provence is an old medieval town with colorful markets, and beautiful surroundings that inspired many painters, including Cézanne. The narrow streets and many fountains are refreshing in summer when the dry landscape around is burning. The Loire Valley has more castles that you can visit in a month, charming B&Bs, and more wine! Vézelay is a hill town surrounded by sunflower fields, where Mary Magdalen is said to be buried. Beautiful for hikes, many people come in pilgrimage. Lyon is the second city in France and has a lovely old town circled by two rivers, you can try all kinds of sausages and pork dishes, washed down with… the region’s delicious red wine. Avignon, the city of the Popes, also hosts a really cool theater festival in July. Orange, Nimes and Arles have beautiful remains of Roman theaters and arches of triumph. Giverny and Auvers sur Oise. One hour from Paris, Monet’s house and Van Gogh’s tomb are the perfect destination for a day trip. The Alps are a must if you like nature. In summer you can hike, mountain bike, swim in alpine lakes, and there are tons of other sports activities for all ages, like rafting or paragliding. The Bretagne region, at the West of the country has a Celtic influence, an air of mystery, rugged coastlines and the best crepes of the country. No wine for a change, but a delicious apple cider. Thank you Pauline for sharing this tips. I like your tips on cheap accommodation. Now, I do where we’ll stay if we visit France and where we’ll get affordable transportation as well. Indeed, France has a lots of wonderful sights and tourist attractions. Including museums and rural cultures. Yes, it has a lot to see. I hope those tips can make the holiday more affordable for visitors. J’adore Paris! I went in spring one year for a couple weeks and loved it. I spent an entire day in the Louve, it was magical. I hope to go back someday and go to Versaille and Southern France. I love the South too, sleepy medieval towns and gorgeous food market, the sea.. it is my favorite part outside Paris. Thanks for this! We don’t plan to spend too long in Paris knowing it is pricey and touristy – we’ll probably just spend a couple of days there in September before heading back to London and flying out of the UK. We met a really cool French couple who couchsurfed with us this summer, so if they can host us we might stop in through southern France before that and spend a few days with them (around Grenoble I think). Grenoble is a beautiful region, if you can check as soon as possible when you can visit, the trains/buses will be relatively cheap. Grenoble also has a small low cost airport with flights to London if I am correct. Thanks for the writeup. I remember my French teacher explaining how much she loved France. If I ever make it to Europe France would definitely be on my to do list. Now if I could just remember how to speak a little bit of the language. That would help! Unfortunately the French speak poor English and don’t like when people can only speak English. Even saying bonjour will soften their bad temper. The cheap british pound at the moment has to do. A few years ago when the pound was worth 30% more, the UK was more expensive. Now Paris is. When the kids are around 10-12 it is a great place to go. Thanks for this! Great tips. To all who follow through, enjoy! Love this post. I really want to go to France, maybe for our honeymoon. I’ve used Airbnb a few times now, and I love it! I’d definitely try that approach if I returned to Paris. a day trip to Switzerland wow! trains are expensive, unless you book 90 days in advance then it is cheaper than a rental car. 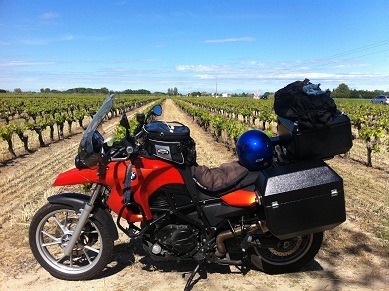 My wife and I want to tour Bordeaux in the next couple of years. I imagine I will be spending a good chunk of change on shipping back some wine to add to our collection. Thanks for the write up. I always enjoy hearing the opinions about when to visit and what to see, from someone who actually lived there. That local knowledge just can’t be found in a tour book. Don’t be surprised if I were to send you an email and ask for a little more of this knowledge! no problem! The Bordeaux region is beautiful, many friends go there around harvest season and buy wine by the gallon then bottle themselves, it makes for a fun holiday. Traveling through every country has its peculiarities. Europe in general is expensive, but worth the experience. I tend to pick and choose where I spend my money while traveling. Dinners are an important experience where the rest of the day I do not mind going cheap. I have used B & B etc and love the experience. krantcents recently posted..Stop the Budget Insanity! I generally prefer dinners too but last time we traveled was by motorcycle and around 5pm we were exhausted and ready to be in bed and don’t move. We made lunch the big meal and found out it was usually a better deal for the money too. My wife and I want to travel to Europe and go through France. I will have to bookmark this one for reference. Thank you Pauline for the handy resource. Grayson @ Debt RoundUp recently posted..Does Your Business Need a Safety Sign? My pleasure Grayson, happy to help. I can’t say that I’ve ever had a desire to visit France, except maybe to visit the Louvre. It is a fantastic place. I am not usually big on museum but this is one of my favorite. I usually prefer science museums, but I do make it into an art museum about once every seven or eight years. Very nice write up. If I ever get the free time, I can plan a nice chunk of my European vacation based on these travel guides of yours. My Financial Independence Journey recently posted..A Brief Primer on Dividend Growth Stocks Part 1: What are they and how do they make money? Thank you! I am preparing Italy next. Thanks so much for sharing this! It’s probably still at least a few years out, but I would like to go to Europe sometime while I’m in my 20s or early 30s. I think France would be a great country to visit and I definitely will have to refer to your post and maybe even ask you a few additional questions for more insider info 😉 Thanks again for sharing. We went camping in France about four years ago and it was amazing. Met some fantastic people and we went with a great group of mates who it’s impossible to fall out with, in fact we’re all still mates now. We stayed in the south near Antibes and I’d recommend the place to anyone. The best day of the trip was jumping on a French train early in the morning, spending the morning in Italy, then heading to Monte carlo in the afternoon and driving a Ferrari around the F1 track before heading back to France for an evening Barbeque on the beach with plenty of desperado’s beer to polish things off. Cannes was also amazing. Sorry for the loooonnnng comment Pauline, it was just such an amazing holiday. Money Bulldog recently posted..6 Year Old Girl runs up a £900 Bill on a ‘Free’ App! You should never apologize for a long comment Adam 🙂 glad you had a blast! I love that region too, it is so different from Italy and Monte Carlo. What a day! I was exhausted just from reading. My girlfriend and I just went to Paris for the day for about £70 each for everything: Transport, sightseeing and food. If you live in the UK you should definitely take a visit! Impressive! I saw some ferry offers for day trips to France for 20 pounds with a free case of wine last year, one car and 6 passengers, that is a crazy offer. I’ve never been to Paris, but it is on my list of places to visit one day 🙂 Can’t wait! Lots of good tips here Pauline! A couple of observations – yes Parisians are all on holiday in August so it is empty. But that includes the restaurants so don’t expect to find anything French to eat unless you cook it yourself! And also Paris is so different to the rest of France, having been demolished and rebuilt in the 19th century by Haussman pretty much (maybe except for around the Sacre Coeur). So if you want the real France, try elsewhere. It is an enormous country – the largest in Europe. Oh and don’t forget that most restaurants automatically add a ‘tip’, whatever the service, which makes the meal seem expensive, particularly if you are kind enough to add another one! they add a tip in restaurants, really? I don’t think I have ever seen that. I hope it is not another tourist trap. Most menus at the bottom say ”TVA et service compris”, tax and service included. I saw a couple of japanese people on hidden camera having lunch in Paris and they were charged for bread, tap water, cover… ate almost nothing and the bill came for 100 euros. But if you can’t speak French you can’t really fight back. It was outrageous. I’m sorry to say it is a perpetual complaint of British tourists. I have seen it and I do speak reasonably good French! I’ve only been to Paris once, to the airport, for a four hour layover. I don’t think that really counts, but we did see two men get into a fistfight because they were both trying to get on a crowded shuttle and I guess someone got a little too close for comfort. I also ordered pain du fromage and I must have said it funny because the lady gave me a strange look, but I got the correct thing. France is on our list. I would love to just walk around and see the architecture in Paris. I would be a hopeless tourist, but maybe your tips can help us navigate better when the time rolls around. haha we are a bunch of stressed and angry people! If you have the opportunity to go before your daughter is too cool to go on holiday with her parents, that will be a great experience, there are plenty of fun family activities. I’m sure you could write a book on France lol. Why do the Parisians leave in August? The food is pricey wow! I could definitely go for the baguette and fill it with meats, cheese, veg. That’s good eats for sure. I’m not too sure about the high breakfast prices though. What is your favourite cheese? My wife has family in France and we have some friends so that is where we would stay ;-). In all honesty I would research like I did every other trip I went on, which make sense if you are looking for the best places. Great post Pauline. thank you! The Parisians leave in August because you have to do something with those 5 weeks holiday (at least, some friends get 8-10 working for a bank, not even teachers) and the city is hot in August so everyone flees to the sea if they can afford it. There is also a long break on August 15th so you can get extra holidays. My favorite cheese is any goat cheese. Fresh or dry, I love them all. My grandparents live in the countryside and there is a goat cheesemonger there where I stock up for all my stay when I go. What about you? I like strong cheddars, some stinky cheeses, fresh mozzarella balls, goats cheese, Brie, Feta, Wensley Dale Cheese, Shropshire Blue ,some fresh bread and a glass of wine, deck chair, sun, back garden and I’m good! Canadianbudgetbinder recently posted..PF Weekly Reading List #11- Free Money, Want Some? Sounds like a perfect gourmet day! I have been freezing cheese since Christmas and lately when we take some out to make pizza it upsets our stomachs, so I guess I’ll have to throw that away and go cheeseless for a while. Too bad, I though you could keep any cheese frozen for months. I just love traveling. Paris is the one of my favorite city for travel. You have given so useful tips to know in advance also fit for who has low value of budget. Great post, I’d love to go there some day! Thank you for such great tips, Pauline. France is definitely on my list of places to visit and when the time comes – I’m using your tips and hitting you up for some more recommendations. Thankfully, I already know to visit in May-June-when people are less grumpy! Good to know! haha yes it makes for a more enjoyable experience if people around are relaxed. Don’t know why the weather impacts moods so much. Oh how I love France (spent 2006 in Rennes, Bretagne)! I try to get there once every two years (from Australia). I used wimdu for accommodation when I was there in Oct/Nov – it’s similar to air bnb. And no, I don’t have anything listed on it etc etc, just sharing info. It was great to be able to text the ‘landlord’ when a lightbulb blew, and he fixed it in his lunch break whilst we were site seeing. I have never tried wimdu, since it started a bit later, but I think it has bigger listings than airbnb in Europe now. I would imagine many people advertise their place on both sites as well. It seems everyone is looking for cheap travel ideas these days, and it’s no wonder. With people losing jobs and the economy in the state that it is, it makes a lot of sense to search out cheap travel deals online before you plan your vacation. The worst thing you can do in a time like this is forego your yearly vacation. It’s important to continue your family traditions and also to get away from the stress of everyday life. Even if you only plan a shorter vacation, don’t let a lack of money keep you from your yearly trip. Bookmarking this and definitely using it for the future trip planning! Very nice post. It is a fantastic place.Thank you! I am preparing Italy next. 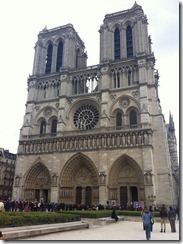 France is such a nice place to stay and famous for its wonderful sightseeing’s attractions. 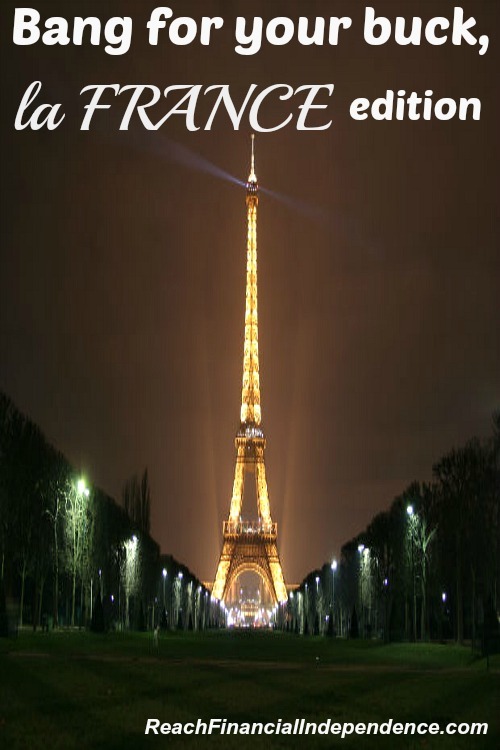 The Paris City make this country most visited around Europe.